Seems that bracelets with endliks that just attach to the springbar and not cover the gap like oem really fit the xl. 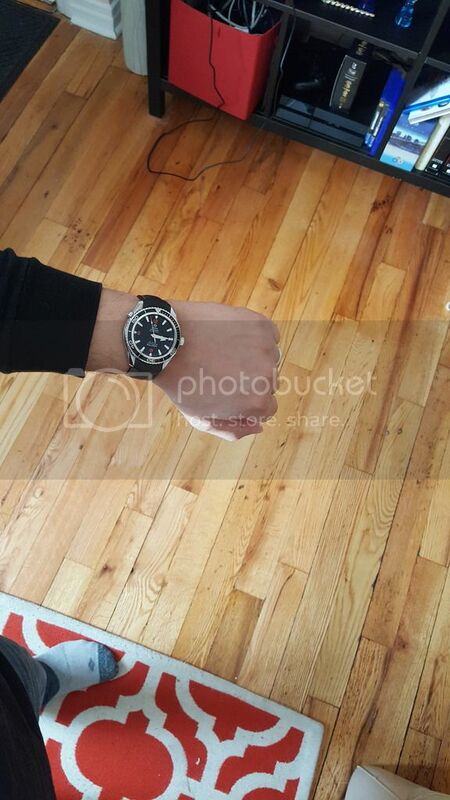 I think that would look disproportional - something like seiko sumo. What do people think about this? Speidel twist-o-flex on the 2500 XL? 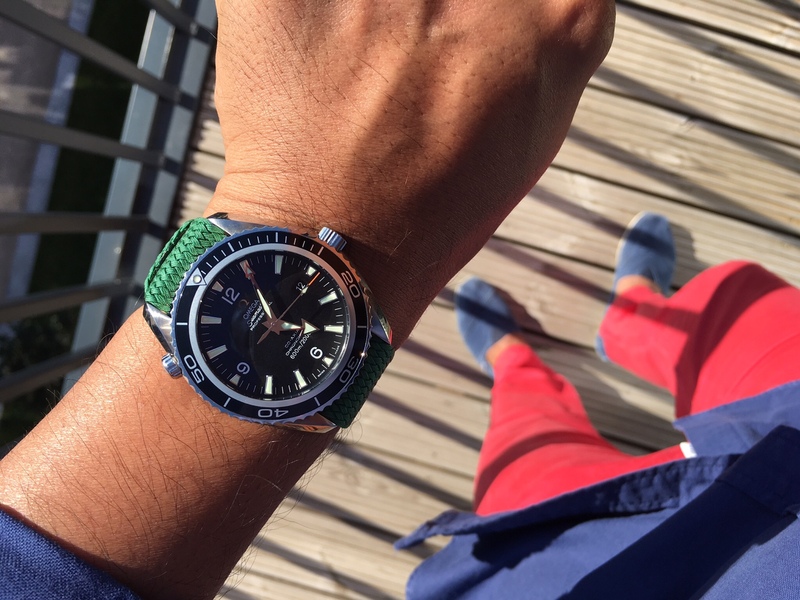 I prefer leather > nato > rubber > original steel bracelet > your bracelet. Sorry buddy. The look isn't too bad but it will scratch up/wear out the inside of your lugs and I don't feel like it's sturdy enough for the watch. I had the lug-scratching problem on a speedmaster previously because the max lug width for this bracelet is 21mm. For safety, I put a very thin bit of clear nail polish on both edges to avoid any scratching for a while. Because the lug width on my PO is 22mm, it fits the watch with a little room to spare on either side, and it doesn't roll around a whole lot I've noticed. Also, why do people think it's not sturdy? Its been touted as an essentially indestructible bracelet since it was invented.... I wouldn't take it diving like this excuse the salt water might rust the internal parts of the bracelet and make them brittle enough to break, but on land it seems great. others have said the same thing in the past. Do spiedels have a reputation of breaking? It's obviously not an expensive or luxury looking bracelet, but it lends a nerdy retro vibe. 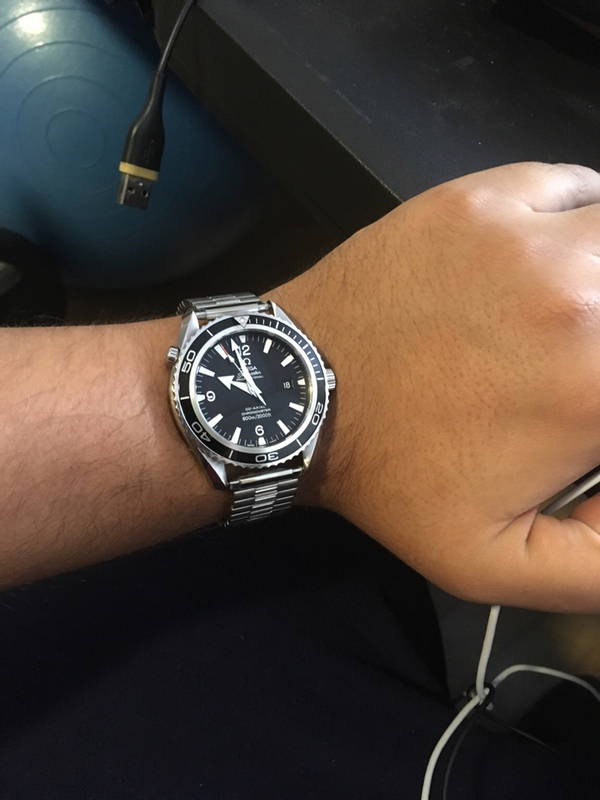 I tried it out because the OEM rubber has been giving me an irritating bumpy wrist on my wrist that is killing my enjoyment of this watch. Depending on the model, sure, it might be more sturdy than the spring-bars that could bend and release first. I had a twist-o-flex for my vintage Moonwatch, but decided it didn't feel as sturdy as my 1171 bracelet after wearing it for a day. It could be stronger than it feels. Hey guys, was looking for a 45mm PO2500d for quite a while but they are hard to come by. I hunted watchrecon.com for weeks along with eBay. Finally, I came across a listing on ebay. The listing showed original box, all the cards, hang tag and the watch. I jumped to see the date font and it looked to be a 2500d. I then expressed serious interest to the seller via private message and asked for the serial number. I was hoping for a reply with 8525xxxx and thats exactly what I received. 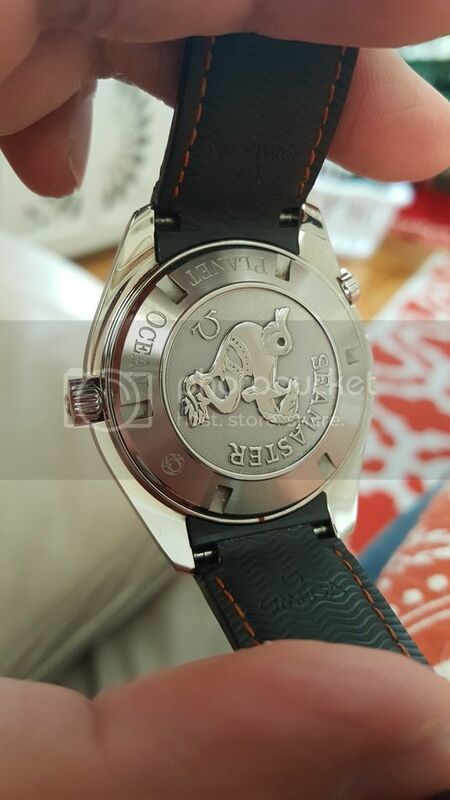 So I made an offer, it was accepted and I now have a 1st gen Planet Ocean 45mm with the 2500d movement! The red dot on the case back is intact too so it's never been serviced. Today I went to the NYC Omega boutique and had them to the pressure test and timekeeping test and it passed those too. The watch is running about -1.6 seconds per day which is slightly outside the spec range, but I figure it's not a huge deal since I'll probably send it in for service later this year. The boutique also confirmed it's the 2500d movement. So this will keep my PO8500 42mm and PO8500 45mm company and might even be my daily watch. The reason I wanted this one is because it's lighter and thinner and so far I'm loving it! 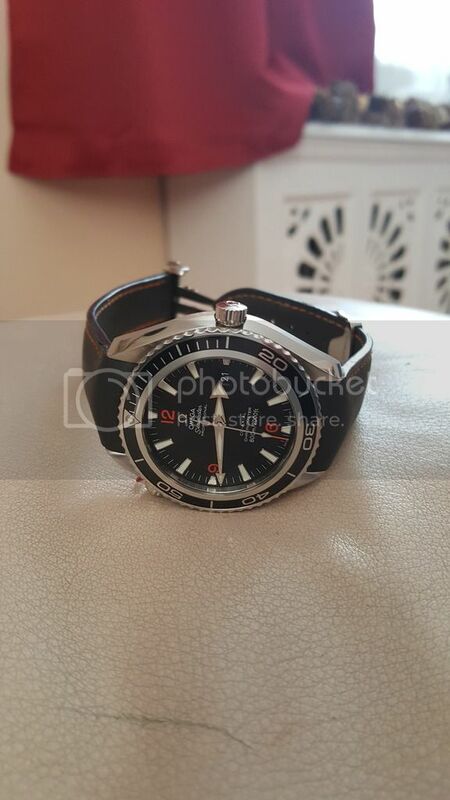 This is a watch I don't plan to ever sell, especially since they're harder to come by on the market now. Just wanted to share! MikeCfromLI and cybercat like this. benvh and Iowa_Watchman like this. My pair of 2500s (SMP & PO LM LE) at (late) breakfast today. Will swap out the clasp on the SMP later today after the NFL game(s). Searching for another half-link for my 2500 PO LM LE (#115ST1580), which is my favorite wear when NOT at "work". "The mind is like a parachute, it only works if it's open."